Every day I’m getting questions about my favorite setup on my personal rifle. So instead of replying back to the same emails and messages on daily basis, I will list all components used right here on this blog. 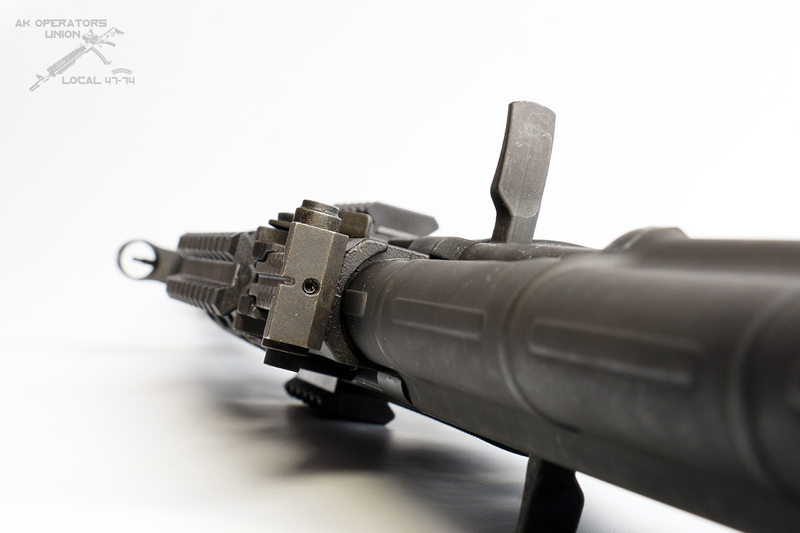 All components on this rifle were selected after endless field testings and beat-ups in some really harsh environments. Please note that I’m not telling you to buy these. This is only personal preference and all these work best for me, but that doesn’t mean that you are going to be happy with similar setup. As always, please do your homework and don’t take everything for granted. That being said, if you would like to buy some of these components, please remember that you can save some money by visiting our Union Friendly Business section and use coupon codes posted there. 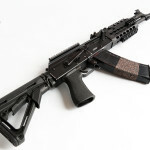 The Centurion 39 Sporter is newest addition to rapidly growing, made in USA, milled AK’s family. 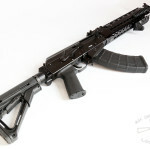 Rifle is chambered in 7.62×39 mm and as you may know already, it is based on milled receiver. 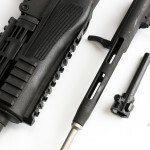 According to Century International, which manufacturing Sporter, receiver is machined from an 11 pound block of 4140 ordnance quality steel. Sporter is loaded with some surprises. 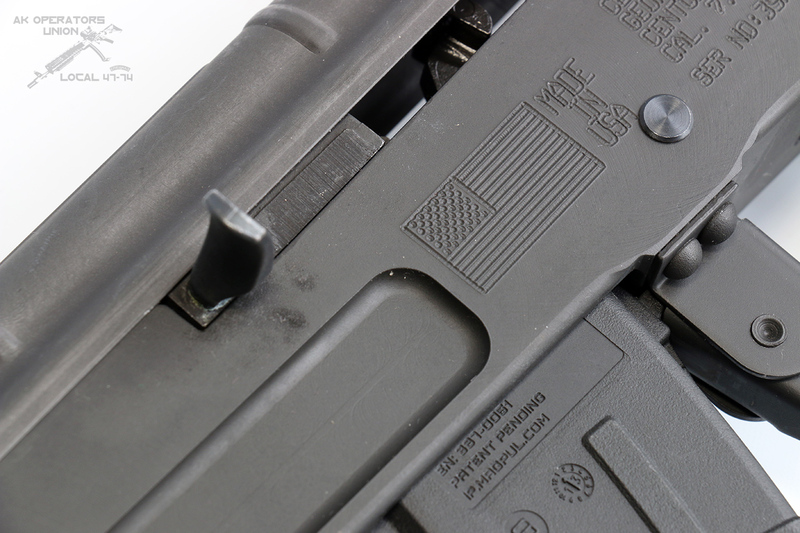 Most noticeable one is left and right side charging handle allowing the right handed shooter to keep his primary hand on trigger guard during reloads. 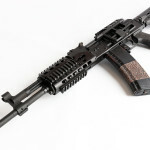 Another interesting addition is, combined with gas block, front post sight. 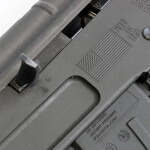 Rear sight was also modified. 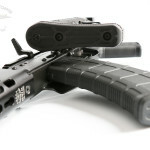 Instead of adjusting for windage from the front sight like on other AK rifles, the rear sight is adjustable for both windage and elevation. 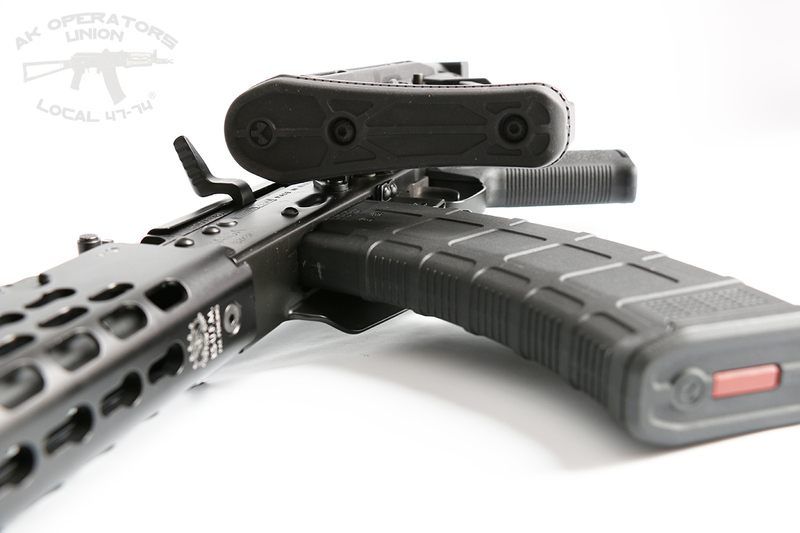 Finally, Sporter has an oversized mag release button, for easier mag changes. 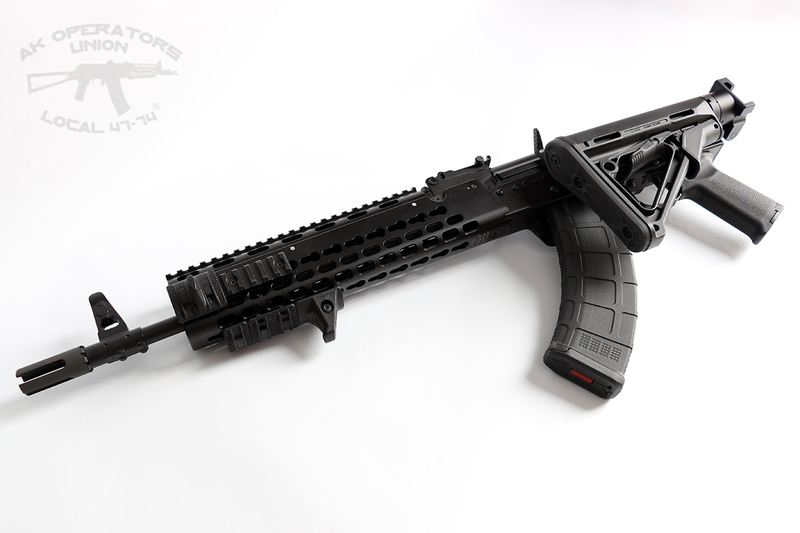 The upper and lower handguards have four Picatinny rails, but please note that upper hand guard will not work as an optic mount, because it is not rigid enough for this kind of job. 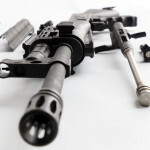 From my first impression, I will tell you also, that rifle is incredibly light for milled receiver version. It weights 7 lbs and 3 oz (unloaded) – that’s only 3.26 kg. 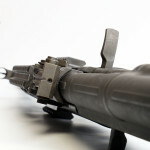 Some weight saving was done on bolt carrier group. 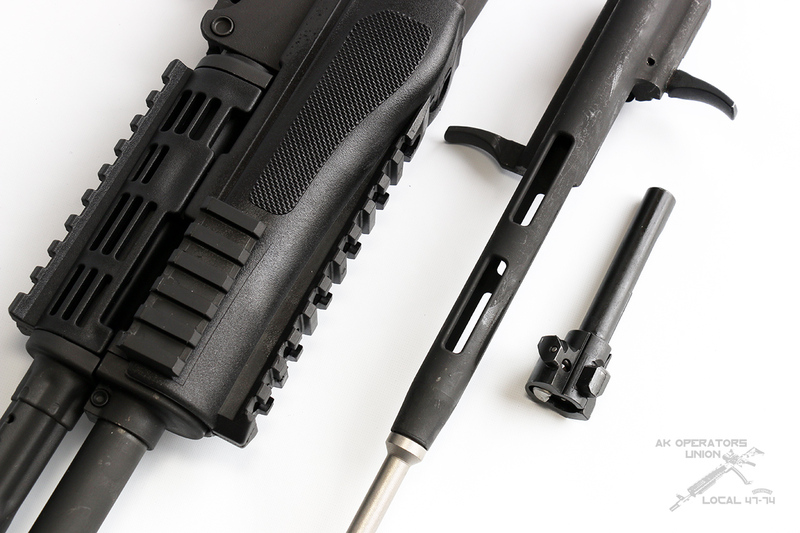 Century basically created open slots in it, to get rid of dead weight – interestingly enough, I have seen something similar done on AEK 971…just saying. Ps. 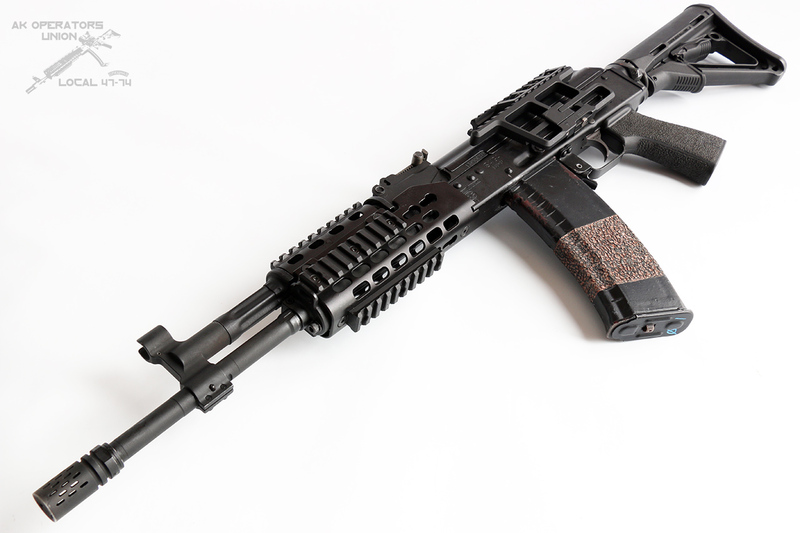 You can get C39 Sporter for around $650. 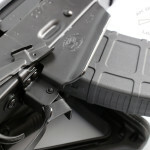 Krebs rifle is just one of many signs of how things have changed to better at US AK market. 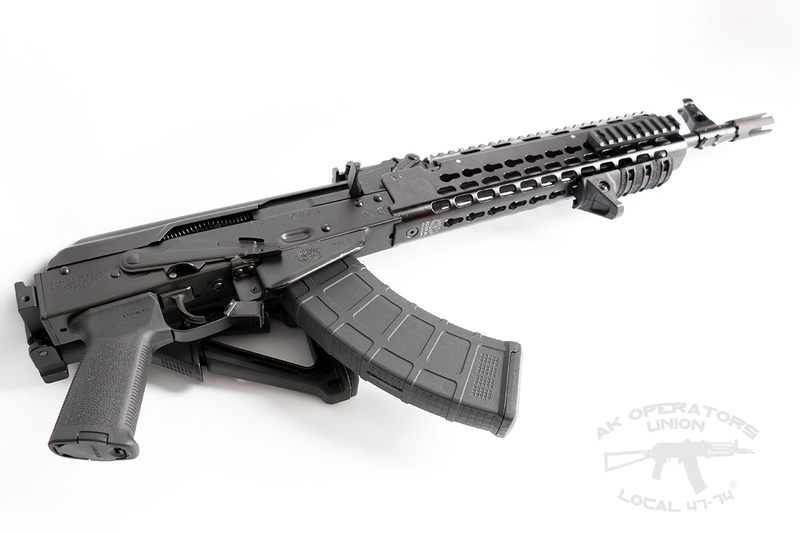 We have multiple, great, custom AK makers now in the States, which compete for our business. 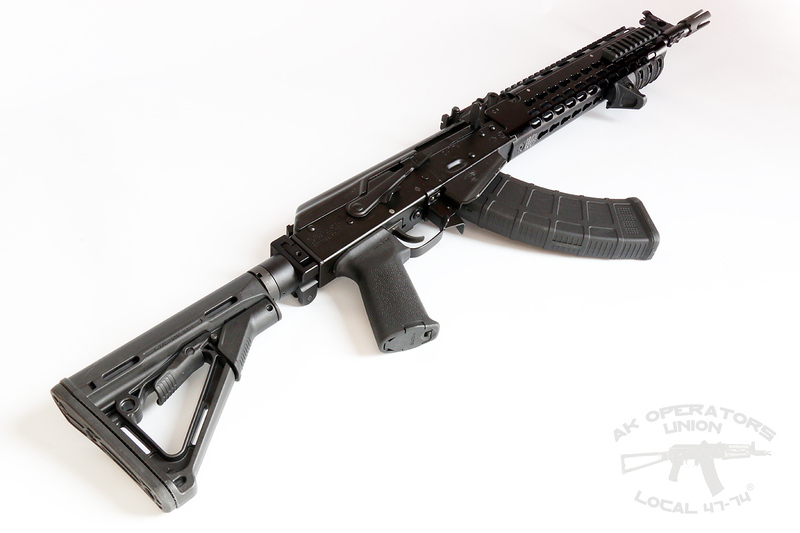 I personally have experience with Rifle Dynamics, Definitive Arms and of course Krebs Customs, but there are at least few more gun shops specializing in AK builds, which are regarded as a high end manufacturers. 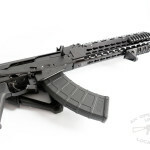 We have foreign companies building great standard AK rifles here in USA already and legendary Izhmash factory decided to team up with one of the US based companies to bring more AK love to US. 5.45×39 mm non corrosive ammo is becoming more and more available, Red Army Standard and Golden Tiger are storming local gun stores, trying to compete for business. 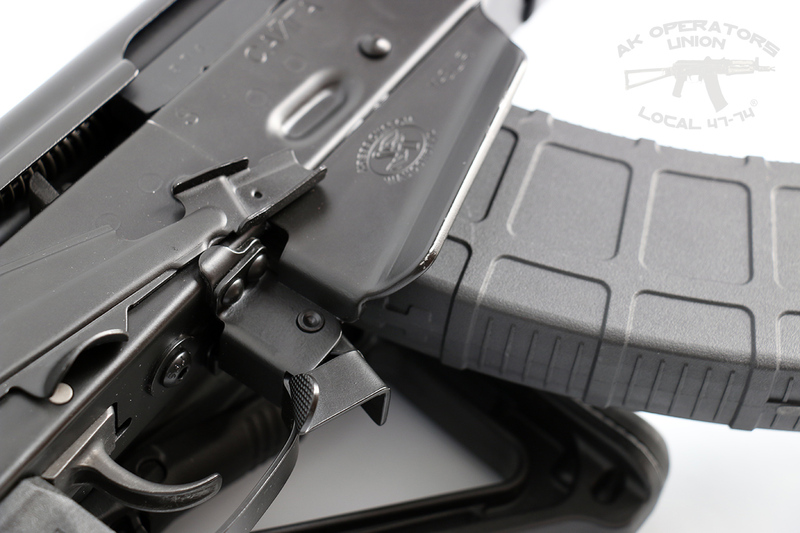 On the accessories side, industry giants like Magpul, Midwest, and US Palm are releasing more and more products directed at AK users. As I pointed out few weeks ago, even when these may not be perfect, at least they are trying and listening to our AK community voices. world. So think about this 2014 in AK world as it was 2004 for AR. 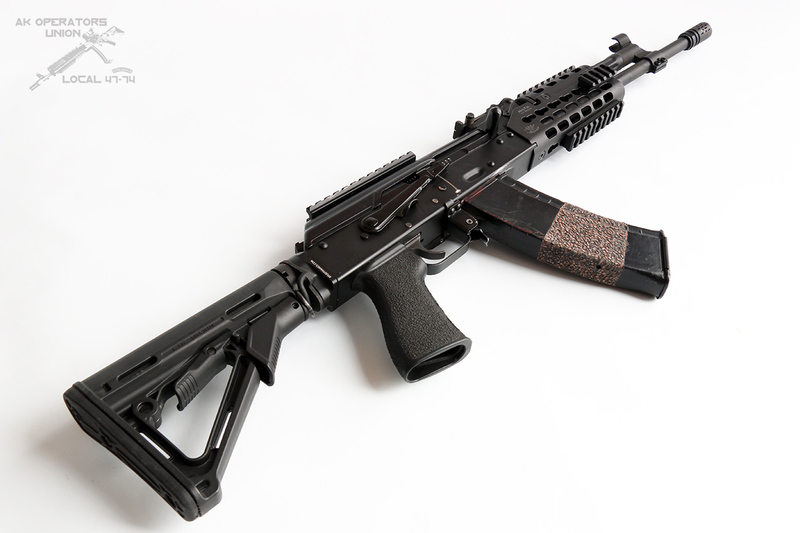 Try to recall explosion of popularity of AR’s at that time (many things contributed to it, like expiration of Assault Rifles ban, or ongoing wars, which made M4 popular in TV news feeds). I remember when Bravo Company was born almost out of the garage and today they are leaders in AR world, I remember when Magpul was starting, and yes, I remember when Chris Costa and Travis Haley used to work together (good old memories). You may ask, but what all this has to do with AK? 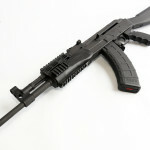 In my honest opinion, this year we are going to witness begging of the real popularity boom on the AK side. Almost every day I’m getting messages from new Union members who are migrating away from the AR platform to AK world. 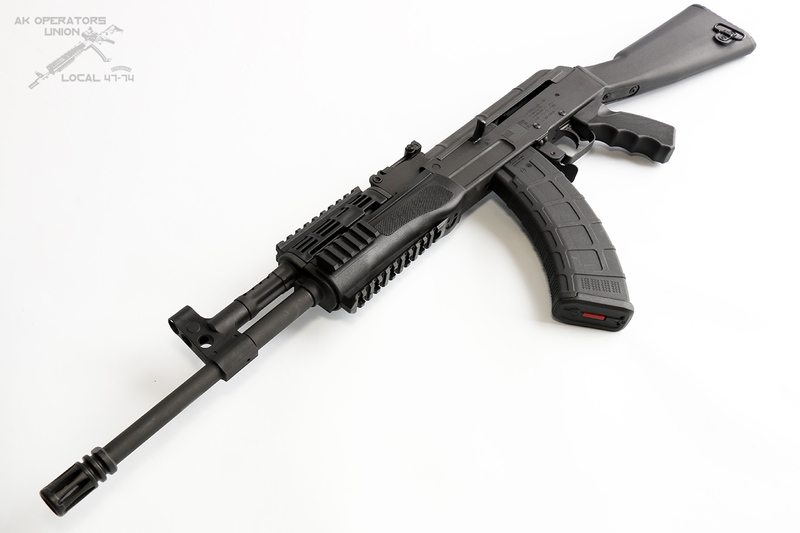 Thanks to efforts of US manufacturers and our friends in Russia, people are seeing how really cool AK could be and what you can do with it. 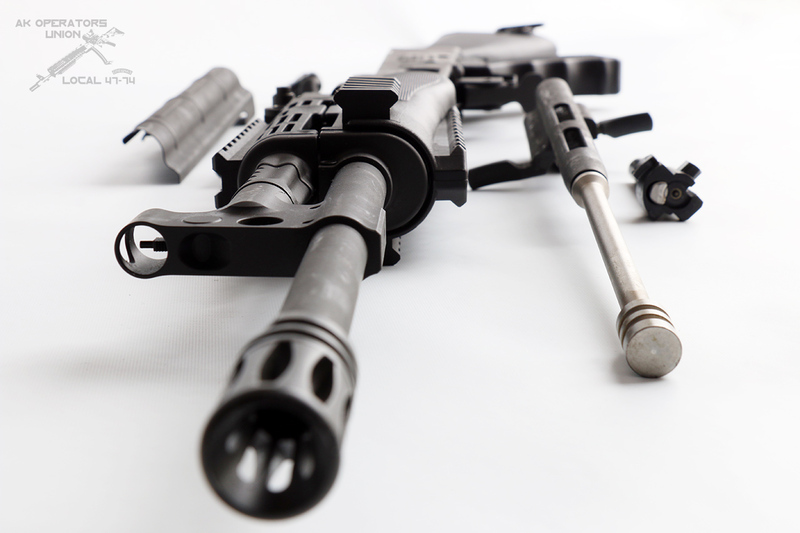 Pair this all with AK rifle’s legendary durability and performance, in every environment, and you have recipe for success. 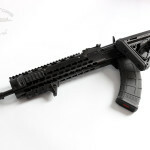 Even for those who like to keep their AK with “bare wood furniture”, things are getting better because overall quality of AK rifles build in USA has improved dramatically from what I have experienced in the 90’s…So the only question I have for you, are you ready to make a jump to AK world? Trust me, you won’t regret that decision!